The Windows Sensor and Location platform, new for Windows 7, enables your computer and applications to adapt to their current environment. Previously, we introduced the Windows 7 Location Platform Overview; in this video, we take a deep dive into the Location Platform architecture and APIs. Join Alec Berntson and Yochay Kiriaty as they explains why location gets a special set of APIs and what makes the Location Platform such an amazing platform for developers. 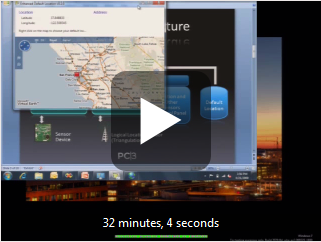 PDC session recording - Windows 7: The Sensor and Location Platform: Building Context-Aware Applications.